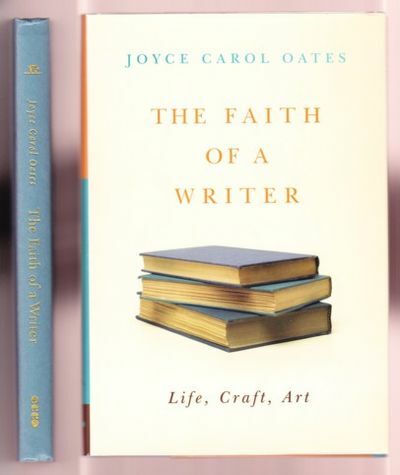 THE FAITH OF A WRITER. LIFE, CRAFT, ART. NY: Ecco, 2003. First edition, first prnt. Signed by Oates on the title page. Backstrip ends gently pushed; otherwise, an an unread copy in Fine condition in a Fine dustjacket with an archival cover. Oates dons her Princeton professor's cap and expounds on the weighty issues of the subtitle.. Signed by Author. First Edition. Hardcovers. 8vo - over 7¾" - 9¾" tall.